Box, the enterprise storage and collaboration platform, has filed for an IPO in March, but it’s still not a public company. In fact, it’s probably not going public until 2015. The IPO delay — which Box CEO Aaron Levie told us has been an “extremely unusual process” — raised a lot of eyebrows because companies usually don’t hold out for that long after filing an S-1. In particular, many outsiders pointed to Box’s massive losses, where sales and marketing costs alone exceeded its total revenue. Palihapitiya has a point. Subscription services like Box spend a lot up front to acquire customers, and the process could take years when they’re dealing with big companies like General Electric. But once they close the deal, it turns into a recurring source of revenue, meaning those deals become 100% gross margin businesses year after year. 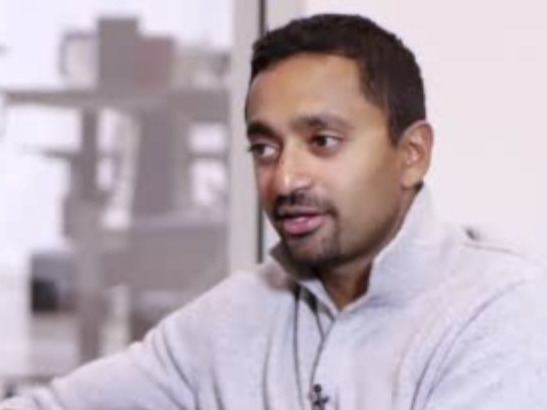 Palihapitiya says the fact that Box, as a private company, has already built a strong enterprise sales channel is what makes it different from other enterprise startups. A lot of enterprise startups only have small and medium-sized businesses and mid-market customers when they go public, which causes them to spend another few years of massive losses trying to build a sales channel for big enterprises. He says Workday is the only other enterprise software company to have successfully built an enterprise sales channel as well as Box before going public — and that’s something Wall Street appreciates in the long term.